Nollywood News.Keppy Ekpeyong Bassey is one actor who would be cheered by fans in any movie. TheAkwa Ibom native who combines acting with being a talk show host and producer is the son of an army doctor and a mother who is an entrepreneur. He studied linguistics and holds a second degree in International Law and Diplomacy from the University of Lagos. He has starred in several movies and of recent, '90Ninth Day'. ANTHONY ADA ABRAHAM had a chat with him at the premiere of the movie in Abuja. I have been there for so long. As early as the beginning of Nigerian film industry. We are the pioneers of the industry. 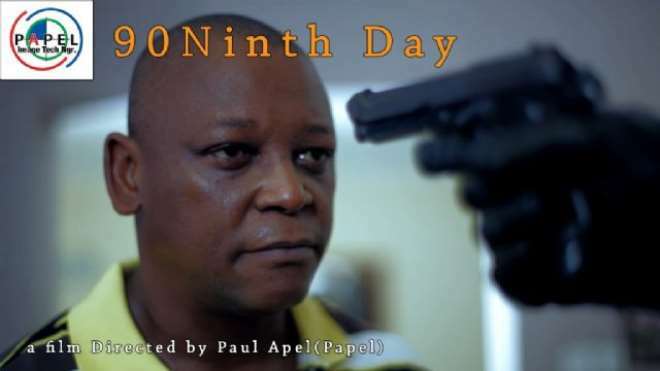 Tell us about your role in the movie '90Ninth Day', how was it like? I think that the story basically is about betrayal of trust and of morals. The conflict was between two ends of the stick, the big end and the high end. Jack represents the good end while Colonel Ben represents the bad end. You know that is what basically happens to some of us when we think that we are not getting what we deserve, we begin to hold so much inside of us. Sometimes when we unleash, we unleash in one direction. So that is what the story is basically about. As a pioneering factor of Nollywood, how does it feel? The movie industry has been very great and impressive. I'm very glad and grateful to be part of it. Let me tell you one thing the movie industry has done that we all must acknowledge, the movie industry gave Nigeria an identity. There was no identity prior to Nollywood. We now have entirely Nigerian productions and it has given Nigeria identification, wealth and it has also integrated Nigeria with the rest of the world. What it also did for Nigeria is to take joblessness from the streets. It has created employment for the citizen, for our graduates and non-graduates. It has also createdspecialisation in over 17 categories like directing, script writing, producing, director of photography, set designing and others. It has generated revenue for the country and individuals and it feels great. Have you produced movies of your own? Definitely! I always produce. I produced the first film in Nollywood, 'The UnforgivenSin'. That was the first film I produced and I'm still producing till now. So I think I have been regular and a constant face in the movie industry. How do you see the future of the movie industry in Nigeria, is there anything to hope for? You know something, the industry perpetually challenges itself. What I think is going to happen is sudden exposure. You will see a lot of independence. You will see independent producers trying to produce themselves, actors trying to release stuff of their own; it will be a gradual movement for progress. Nollywood is African Magic. People can't understand it but that is how we are selling our stories in our own way. We are not following anybody; the industry has been there for itself. We have come to stay permanently. Many people are now looking to us as role models. We are wellrecognised anywhere we go around the world. More people want to see our movies and culture and how it has shaped the perception of people across the world about Nigeria. Our movie stars are renowned all over the world. So the future is very bright and there is a lot to hope for us. What should your fans be expecting from you next? They should expect a lot of good movies. You have lots and lots of fans, what is your message to them?